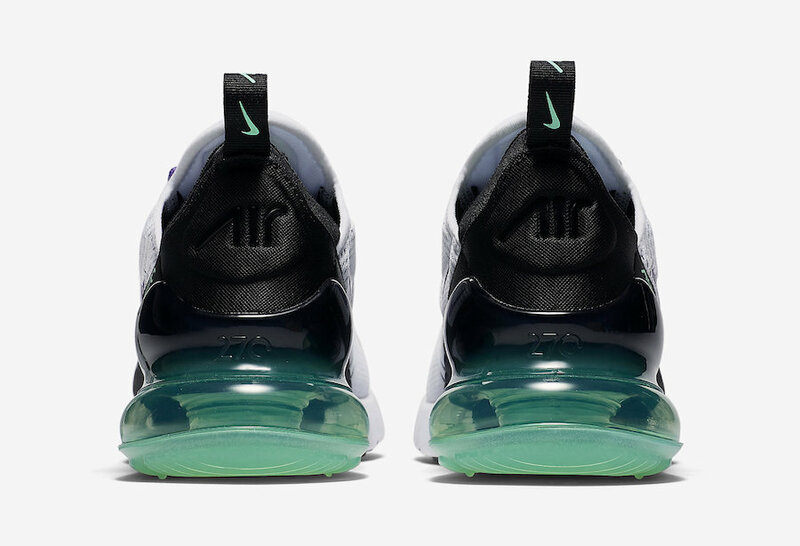 Nike Air Max 270 "Grape"
Nike pays homage to classic Air Max releases with its latest silhouette, the Air Max 270. 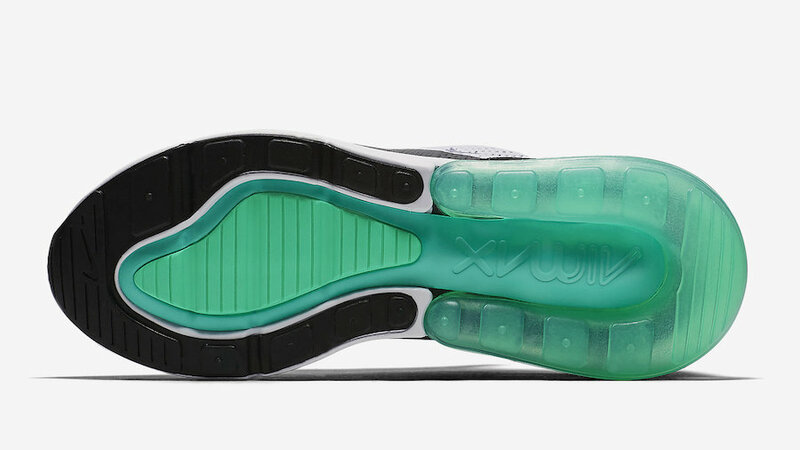 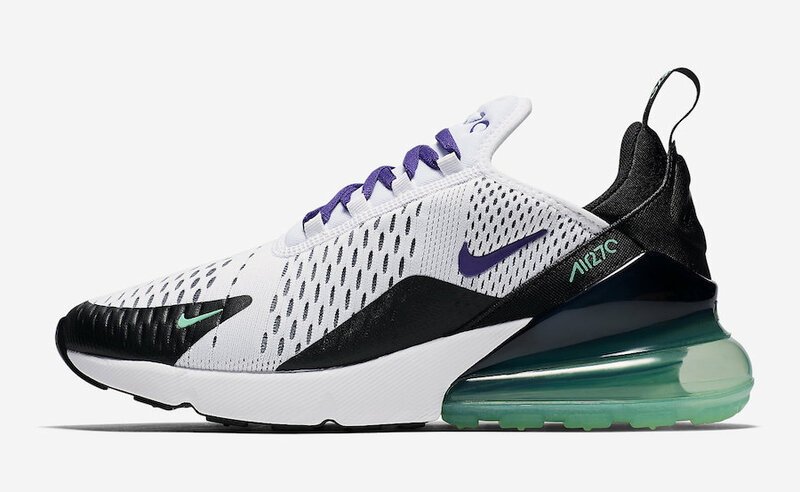 The Nike Air Max 270 receives the classic “Grape” color blocking made famous by the Air Max 95. 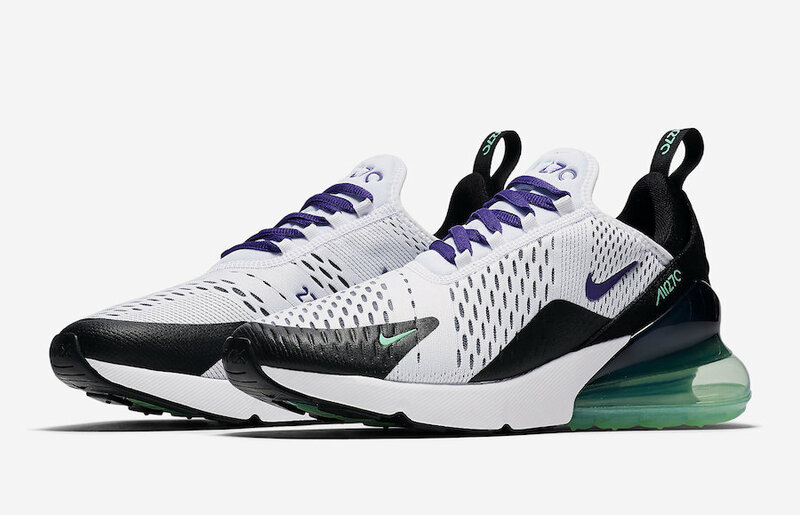 This “Grape” iteration of the Nike Air Max 270 features a full White mesh upper paired with Black overlays, Purple Grape laces as well as a Teal 270 Air Unit and accents throughout. 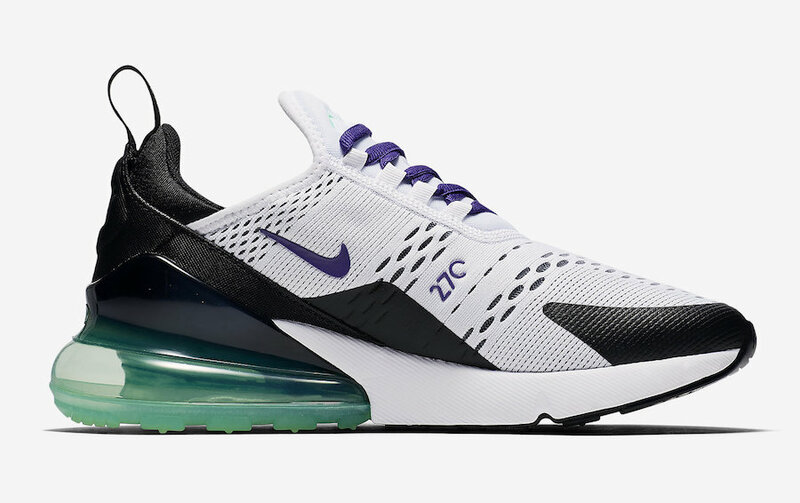 The Nike Air Max 270 “Grape” is set release in women’s sizing later this Spring 2018 at select retailers and Nike.com with the retail price tag of $150 USD.